This place is very cool. 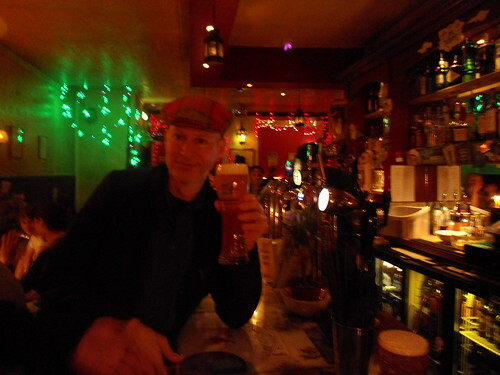 It has some kind of Bavarian wheat beer on tap (Weihenstephan) that made Tobi very happy. I bought him a pint. He hugged me. He wanted me to try a sip, so here I am. We lounged in our own private space that featured the same IKEA coffee table we have at home. I think I'm drinking a Deuchars in that photo. 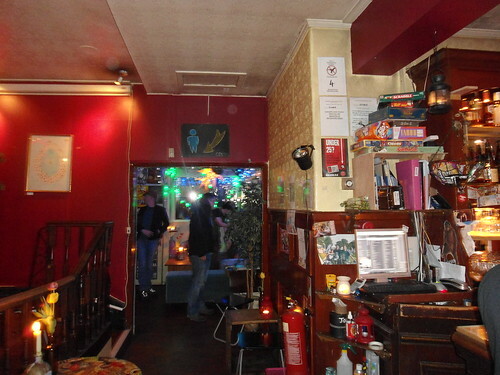 Victoria is one of a small group of Leith pubs owned by a Swedish couple. 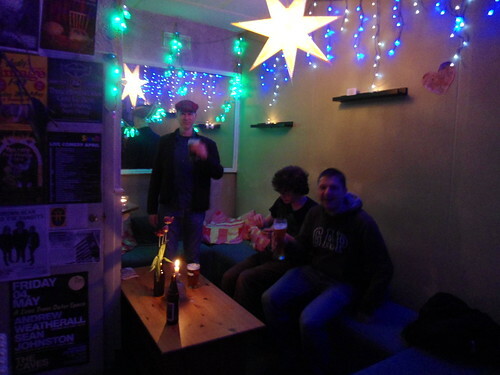 The decor is very eclectic, and the place is very welcoming and fun. Officially one of my favourites. 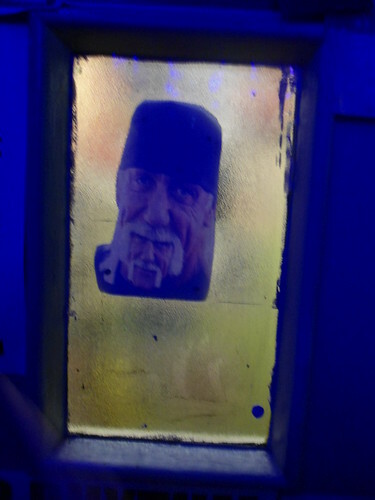 Meghan particularly enjoyed the Hulk Hogan cut-out on the door to the men's toilet.